Battle-scarred, but with a great love of life and adventure, the Ninth Doctor invited Rose Tyler aboard the TARDIS for a trip of a lifetime. Later joined by Captain Jack Harkness, occasionally assisted by Mickey Smith and Rose’s mother, Jackie, their adventures took them from Victorian Cardiff to the end of the world, fighting enemies old and new, including Daleks, Autons and the Slitheen. 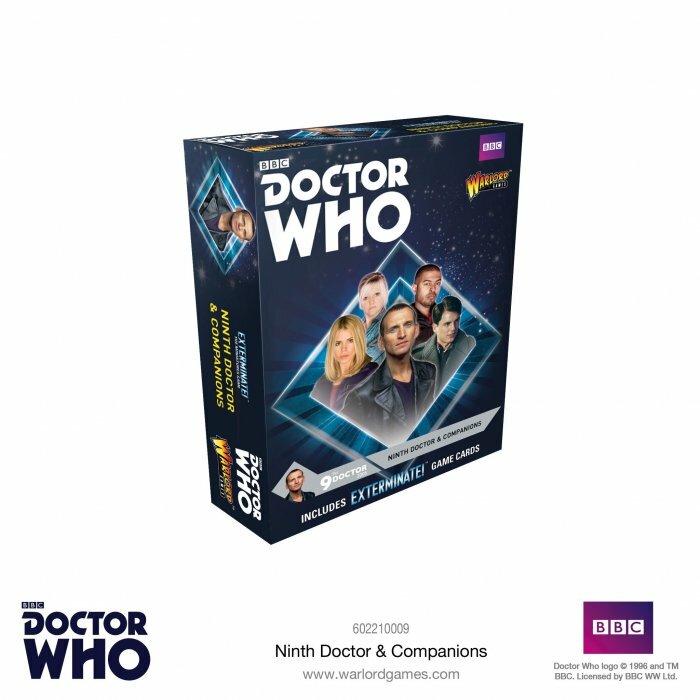 This box contains the following unpainted pewter miniatures: the Ninth Doctor, Rose Tyler, Captain Jack Harkness, Mickey Smith and Jackie Tyler. It also contains gaming cards for each character, allowing you to take them into battle in our Exterminate! miniatures game.